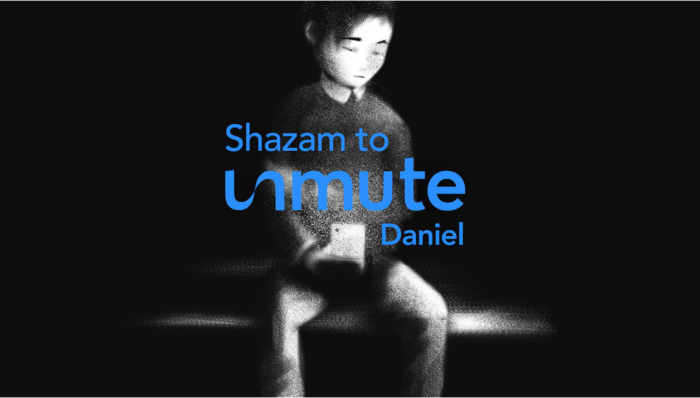 MullenLowe Group has collaborated with Shazam to roll out a campaign titled “Unmute Daniel”. This is in a bid to raise awareness around the issue of cyberbullying in Singapore. The campaign features Daniel’s perspective as a victim, as well as the perspectives of the bully and bystander. The campaign utilises technology to communicate with the target audience of youths and their parents. Using media screens, a sound with a frequency inaudible to the human ear is projected together with a display message by Daniel, encouraging people to open up the Shazam app on their smartphones. These media sites have been strategically chosen for the creative execution in partnership with Posterscope Singapore, an out-of-home (OOH) media agency under the Dentsu Aegis Network. The media installations will be exhibited at Clear Channel’s bus shelters, DECK art space, and in schools across Singapore. Once the sound has been detected by the app, it will be linked to the campaign website, which shares the story of Daniel’s perspective as a victim, bully and bystander. These stories are based on actual cyberbullying cases that have occurred in Singapore. In addition, the website also contains different scenarios and advice from the Singapore Children’s Society regarding cyberbullying, and what one can do as a victim parent or teacher. According to the press release, the idea for the campaign came during a discussion on the prevalence of cyberbullying in Singapore, spearheaded by Sergey Mastobaev, associate creative director, and Raul Palhares, senior copywriter of MullenLowe Profero. The duo then realised that more than half of victims do not share their experiences with anyone. “Unlike physical bullying that often leaves behind scars and bruises, cyberbullying is much harder to spot. We want to turn technology against technology and demonstrate that while cyberbullying is more rampant than people realise, there is always a way to fight it,” Radhe Vaswani, managing director of MullenLowe Profero said. “We are thrilled to be partnering with MullenLowe Group on such an important pro-social initiative. It would certainly be “music to our ears” to know we have done a little to help replace silence and fear with awareness and hope for those affected by cyberbullying,” Steve Sos, managing director of Shazam, APAC, said. AirAsia has denied it is in talks to sell a minority stake in its loyalty programme AirAsia BIG to private equity firms. ..
Emotive ads aren't new to the industry but if done well they never fail to impress. More here. ..